We encourage you to schedule your SSS payments accordingly. about any development in our bank. further assist you as we continue to improve our services. As part of our efforts to serve you better,PNB continues to enhance our systems. We shall inform customers of any scheduled system enhancement activity. For concerns or inquiries, you maycontact your PNB overseas branch. Thank you for banking with PNB. Please be advised that our remittance charges for all debit card transactions has now changed. Click on the Remittance Charges link under the REMITTANCE Tab of our homepage for details. Effective 01 July 2017, please be advised that the published exchange rates apply only to remittances of up to GBP 5,000.00 and EUR 5,000.0. 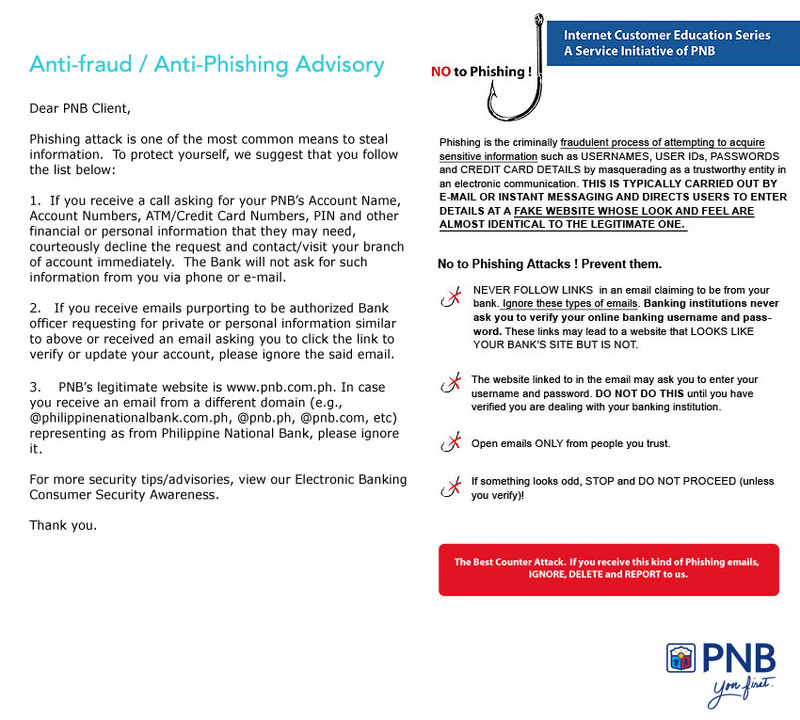 Copyright 2013 Philippine National Bank. All rights reserved.